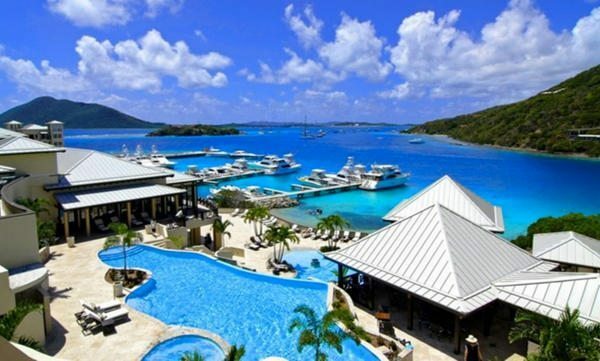 Get $50 Off a $200 Expedia Hotel Booking for Downloading an App! Until July 7, 2014, you can get $50 off a hotel booking of $200 or more when you download and use the Expedia app on your smartphone. Once you sign-up for the deal, Expedia will text you a coupon code to use when you book the hotel. Save $50 Off a $200 Hotel Booking When You Download the Expedia App! Go to the 4th of July Expedia Coupon link and enter your cell phone number. 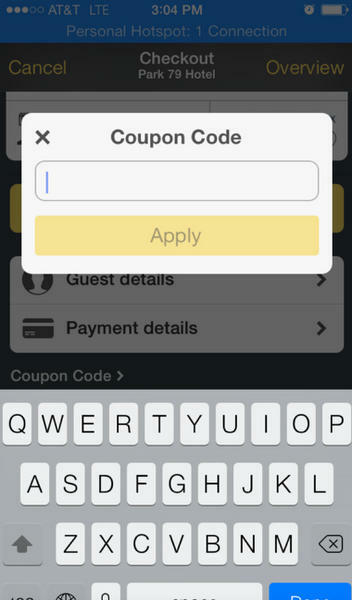 You’ll immediately receive a text with a 1-time use coupon code. Download the Expedia app to your smartphone and use it to book a hotel. Remember, the hotel price must be at least $200 before taxes and fees. You can only use the coupon if you use the app to book the hotel. When you get to the payment screen, there’ll be a drop-down box that says “Enter a coupon or promotional code.“ That’s where you enter the code that was sent to you by text message. Before using the coupon, I’d double check sites like TravelPony and Kayak to be sure you’re getting the best deal. That’s because these sites often have rates significantly lower than other online travel agencies. This $50 coupon must be redeemed by July 7, 2014 for a hotel stay through December 31, 2014. But if you’re not comfortable booking a hotel by that time, you can use promotion code, “MOBILE25” by December 31, 2014, to get a $25 discount. 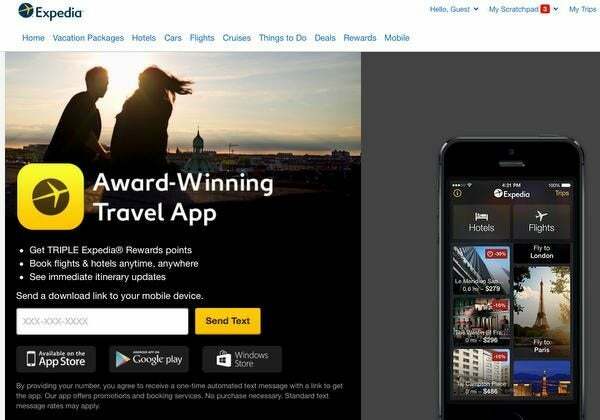 You can get a coupon for $50 off a $200 Expedia hotel booking by signing-up and downloading the Expedia app to your smartphone. It’s valid for travel between now and December 31, 2014. Only 1 coupon can be used per Expedia account. This could be a good deal if you have a paid hotel stay coming up. But definitely shop around before you book to make sure you’re getting the best deal! Is anyone having trouble receiving the text message with the code and app download link? Twice now (two different days; I had to wait after the 1st failed attempt before trying again, as it wouldn’t send another text to me when the 1st didn’t arrive) I’ve submitted my mobile # and it claimed a code had been sent, but I never received it. I’m receiving other texts, so I don’t know what’s up. The travel hacking “Force” has not been with me these past few days! I used the code and it showed the 50.00 discount on the app but when I got my email itinerary and checked my credit card balance it was 50.00 more and was never removed. Expedia is refusing to adjust the price of my hotel by the 50 saying that its non-refundable, was also insulted by the customer service agent telling me they’ve never had a 50.00 promotion and that all she can do is put a 25 credit on my account for my next booking. Never using Expedia again, horrible experience. Thanks for the tip! Just saved $50 at the Hard Rock Hotel at Universal Orlando! I do not have text messaging capability on my phone. Would really appreciate it if you can send me that 16 digit code. I am a loyal reader. Thanks! Yeah but $50 is better than any hotel points you could earn.